Who's ready for another makeup video? Today i'm showing you another makeover. I'm glamming up my lovely niece. I was so excited to glam her up and work on her beautiful deep, rich skin tone. 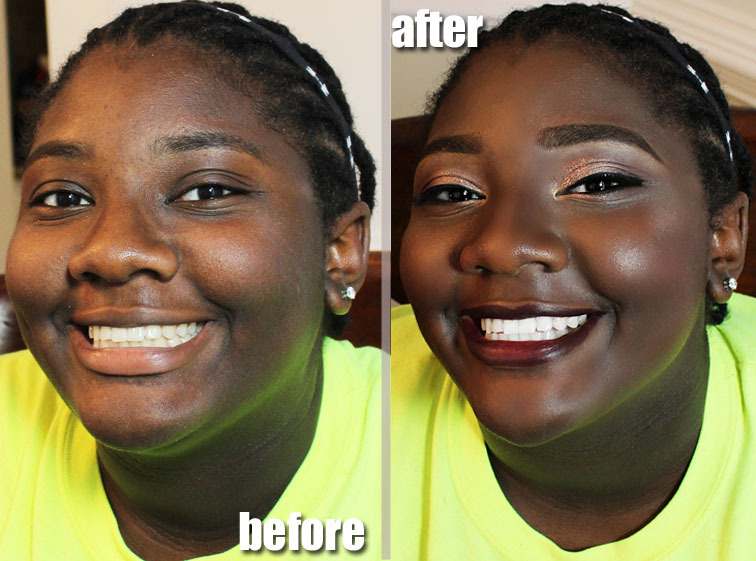 In this video, I give you tons of tips on how to apply makeup on deeper skin tones. Check it out! If you're looking for an awesome deep skin tone extension to your makeup kit, I definitely recommend the Graftobian HD Glamour Cream Palette, Neutral #3. It's a 5 pan kit that has the deepest tones of foundation you'll ever find, with a variety of undertones. This is especially helpful even if you need to find deeper shades to contour with. It retails for $28.99 and has a small compact shape. You'll never have to worry about not having a deep enough range of foundations for any client if you have this. I also swear by the Covergirl Queen Natural Hue Bronzer in Ebony Bronze. This deep bronzer with a reddish tone adds glow and depth to darker skin tones. Use it as a blush, contour, or just to add randiance to the skin. This is a must-have if you work on deeper skin tones.